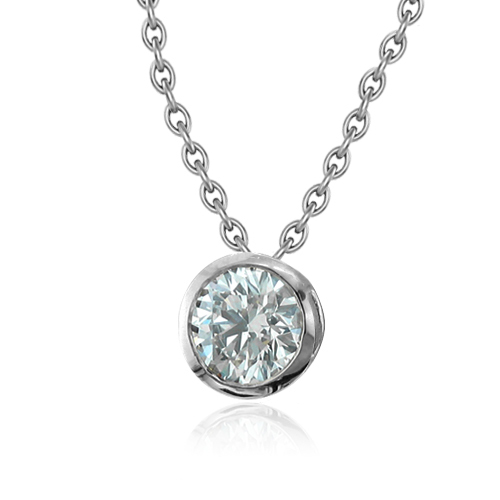 This bezel set diamond solitaire necklace is crafted in 14k white gold with a round brilliant cut diamond. A matching gold chain completes the beautiful look. This contemporary design of solitaire diamond necklace is beautifully crafted in 14k white gold. A glorious round brilliant cut natural diamond is surrounded by a thin bezel wall. The bezel set solitaire diamond pendant dangles gorgeously from a delicate 18-inch white gold cable chain. 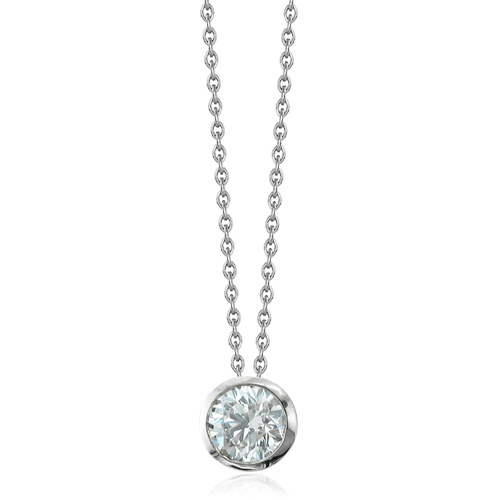 This solitaire diamond necklace is a perfect jewelry accessory for any occasion. Adorn your neckline today with this natural diamond pendant. April Birthstone is Diamond. 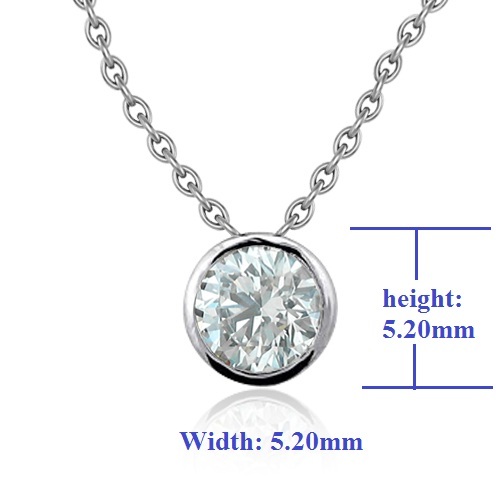 Diamond pendant makes it a lovely gift for yourself or your loved one. Also available in yellow gold.